On July 1, the US Food and Drug Administration issued draft guidance for complying with the New Dietary Ingredient (NDI) notification protocols required by the Dietary Supplement Health and Education Act (DSHEA)—seventeen years late. The biggest problem is that this guidance will turn a notification system into an approval system—a terrible precedent that will utterly cut off the supply of nutritional supplements. It will also create such huge barriers for supplement manufacturers that it will be much more difficult and expensive to produce them. But of course, that means consumers would either have to pay much more for nutritional supplements, or else risk not being able to buy them at all if the manufacturer deems them too expensive to produce. 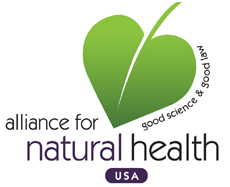 Yes, please send me The Pulse of Natural Health, a weekly e-newsletter with the most up-to-date information about legal threats to natural health and opportunities to take action! I am greatly concerned about the FDA's draft guidance on New Dietary Ingredient notifications for dietary supplements. It turns what was meant to be a simple notification system into a scheme where FDA can approve -- or deny -- any supplement created in the past seventeen years, making the FDA the ultimate arbiter of what dietary supplements will and will not be available. The FDA already refuses to "file" (turns down) most notifications of new supplements. If the new guidance is accepted, new supplements will be a rarity. It is all completely arbitrary. The agency's interpretation of "new dietary ingredient" is far too broad. Under the new rules, all ingredients in the food supply before 1994 that have been chemically altered in any way are considered NDIs and therefore subject to NDI notification. Moreover, the definition of "chemically altered" includes certain types of fermentation and exposure of ingredients to high temperature baking and cooking, and using a botanical ingredient at a different life stage than previously used -- for example, an extract of unripe apples instead of ripe apples. How absurd! The guidance states that a synthetic copy of a constituent or extract of an herb or other botanical is not considered a dietary ingredient. This arbitrary distinction will make many dietary ingredients on the market illegal -- particularly as this standard does not apply to non-botanicals. Most importantly, the guidance makes the NDI notification process burdensome and repetitive. It requires a different notification for the same ingredient for every different version of the supplement it is in -- for example, the same ingredient at a higher concentration needs a separate notification/approval. Or the same ingredient in a different combination of ingredients requires yet another notification/approval. The Dietary Supplement Health and Education Act of 1994 states that "the Federal Government should not take any actions to impose unreasonable regulatory barriers limiting or slowing the flow of safe products and accurate information to consumers." It says that Congress finds that "dietary supplements are safe within a broad range of intake, and safety problems with the supplements are relatively rare." And it says that "legislative action that protects the right of access of consumers to safe dietary supplements is necessary in order to promote wellness." The guidance may also have far-reaching consequences. For example, if Sen. Durbin's dangerous Dietary Supplement Labeling Act goes forward, with the list of "safe" supplements and doses which FDA and IOM would draw up under the bill -- such as vitamin D in amounts greater than 4000 IU -- it would mean that more therapeutic doses or supplement preparations could never meet the new NDI hurdle. This could have a profoundly negative impact on this nation's health. The FDA draft guidance does the exact opposite of what Congress intended. It imposes unreasonable barriers that limit and slow the flow of safe products and accurate information to consumers. I call upon Congress to uphold the landmark legislation it passed seventeen years ago. I call upon Congress to uphold the landmark legislation it passed in 1994. FDA is currently redrafting that guidance, but if FDA doesn't amend it to reflect DSHEA's (and Congress's) stated values and goals, I request that Congress hold hearings to review FDA's behavior as soon as the new guidance is issued."